I was using cremo face lotion with SPF, but they quit making it. I liked it because it was thin and didn’t feel heavy on my face. I would like suggestions for unscented moisturizers with SPF. Maybe you can consider After Balm (The Stray Whisker). No SPF, but our Unscented Balm is popular. (08-05-2018, 12:38 AM)zaclikestoshave Wrote: Maybe you can consider After Balm (The Stray Whisker). I looked it up and I like the ingredients list, but it has fragrance in it. (08-05-2018, 12:59 PM)dominicr Wrote: No SPF, but our Unscented Balm is popular. What brand is your balm? Just to clarify, I wouldn't classify the product fragrance forward or heavy. If I remember correctly, there's a bit of scent added to balance out the natural odor of the included ingredients. If you want to use something without a lingering smell, After Balm is still worth considering. Look up a few reviews and see if other users would describe the scent as you want to try and enjoy it. I guess I should have clarified that unscented is s need more than a preference. Even lightly scented products irritate my skin. 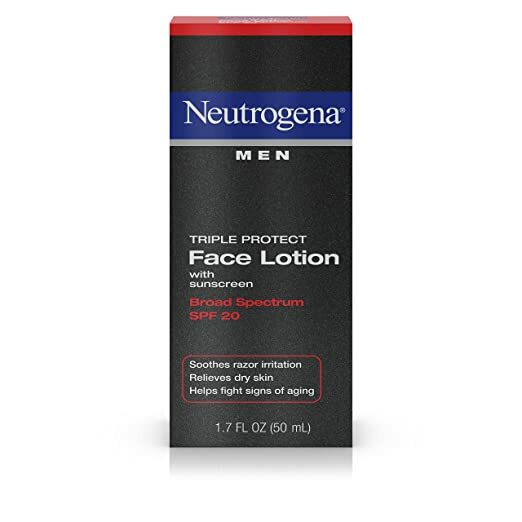 Neutrogena Triple Protect Face Lotion has moisturizers and SPF 20. It is also greaseless, but it does have some scent. Not surprisingly, opinions vary on how heavy or light the scent is, how much it is like sunscreen, and how pleasent it is or is not. FWIW, to me the scent is mild and neither annoying nor appealing. The price is pretty good too, and so is the availability if you need something on the spot. I'm sure it's great and stuff, but that was a pointless suggestion. All you're trying to do is sell your product there.